Indian Wells - Juan Martin del Potro confirmed on Sunday he would not play in this week's ATP Miami Open as he works his way back from a knee injury. 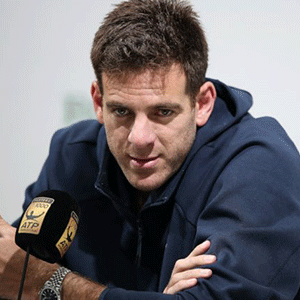 "Unfortunately I won't be able to play in Miami this year," Del Potro wrote on Twitter. "Looking forward to coming back in 2020!" Lamentablemente no podré jugar el @miamiopen este año por mi lesión de rodilla. Espero verlos el año próximo ? ?Unfortunately I won’t be able to play in Miami this year. Looking forward to coming back in 2020!